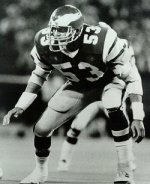 From a remarkably determined kicker who once abducted a football... to a future NFL star with a passion for backgammon, players found their way on Choo's list in unique ways. There are All-America teams, All-Conference teams, perhaps even All-World teams. But to earn a spot on the "All Tape and Bandages" team, you had to make an impression of a different sort. A few players stand out in Choo Justice's mind when it comes to naming the special squad. The criteria for making it on the position-by-position list was all-encompassing and didn't necessarily involve either tape or bandages. Even among a group characterized by cohesion and a sense of oneness, certain individuals had qualities, quirks, tendencies or traits that Justice recalls in detail a couple of decades later. 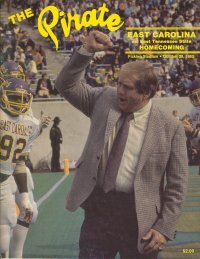 The final part in a four-part series on life inside the East Carolina football program from Choo's distinctive angle recaps thumbnail quotes about a number of players — some famous, others not — from the perspective of one whose duties included everything from tending injuries to washing jock straps. “Norwood would walk into the equipment room and his eyes would light up (thinking he was going to get something from us! ), so we had a ‘No Norwood in the equipment room’ rule. “How can we forget about Henry ‘Humpchest’ Williams (you may know him as ‘Gizmo’). His claim to fame was his speed and his flipping after scoring a touchdown. “Jody was always tearing up his face masks and needing them replaced. “Cruz (aka Cruiser) was a good ole boy from Alabama and talked real slow. He and Twitty were my fishing buddies and were like a comedy team, both notorious for bumming dips of snuff off us.